Today was Day #3 of Chocolate and Peanuts Theme Week. 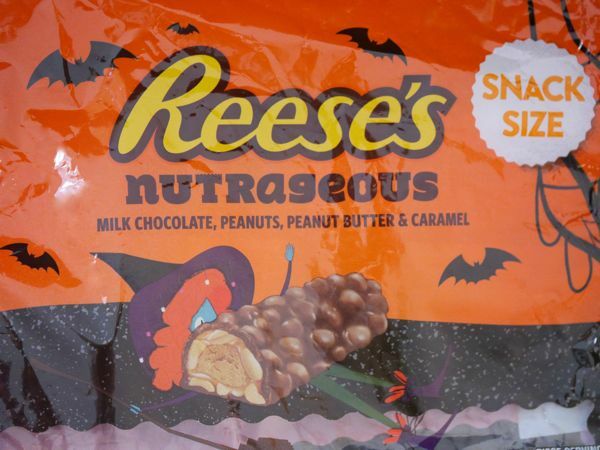 This bag of Halloween-themed, Reese's* Nutrageous snack size bars contained a sweet candy bar blend of milk chocolate, peanuts, peanut butter and gooey, golden caramel. 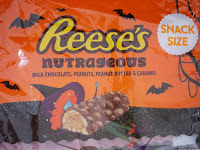 I love single origin dark bars; but I still have a soft spot for Reese's themed treats now and then. 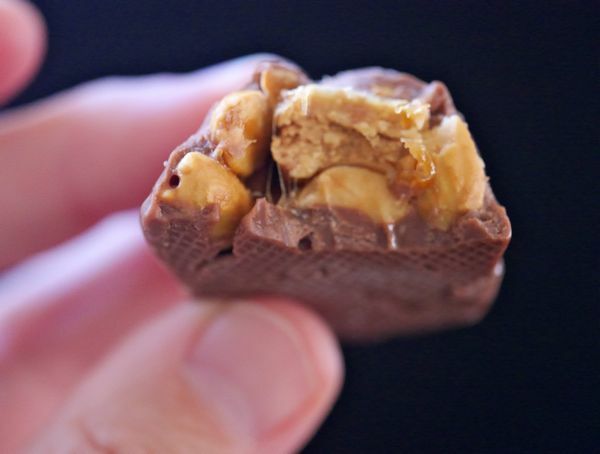 *Reese's peanut butter cups were created in the 1920s by H.B. 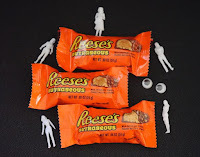 Reese who had worked for Milton S. Hershey, and used Hershey chocolate in these cups. In the 1960s, the H.B. Reese Candy Company became part of the Hershey Chocolate Corporation.